Akita is a large spitz breed of dog originating from the mountainous northern regions of Japan. Two varities are popular, 1. 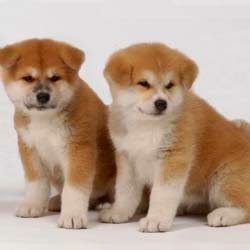 Japanese strain known as the “ Akita Inu or Japanese Akita. And 2. American strain known as the Akita or American Akita. The Akita is a powerful, independent and dominant breed, commonly aloof with strangers but affectionate with family members. Akitas are generally hardy. 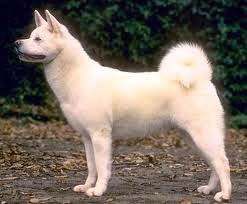 Japanenes Akita- is the one of the oldest of the native dog of Japan. 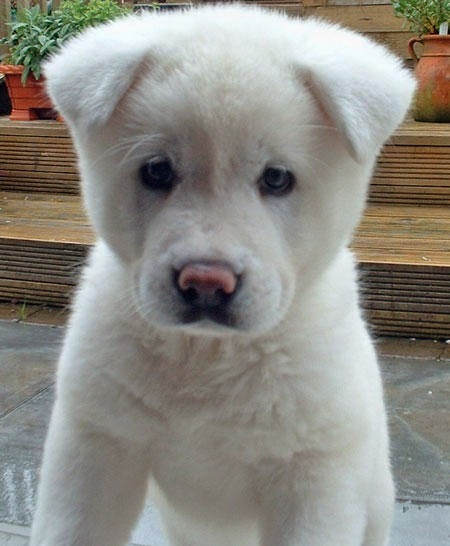 Akita developed primarily from dogs in the northern most region of the Island of Honshu in the Akita prefecture. The breed is also influenced by crosses with larger breeds from Asia and Europe, including English Mastiffs, Great Danes, St, Bernards and the Tosa Inu. 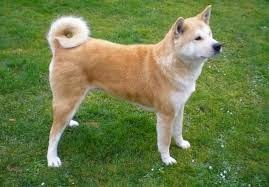 During World War II the Akita was also crossed with German Shephered dogs. The ancestors of the American Akita were originally a variety of the Japanese Akita , a form that was not desired in Japan due to the markings. Akita were bred for a standardized appearance. 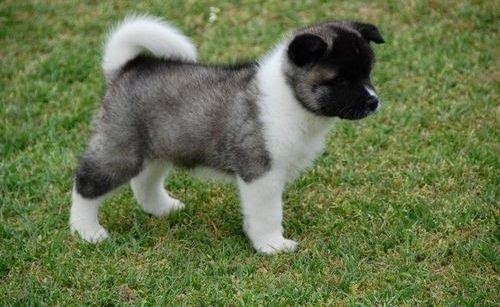 Akita breeders and fanciers producing litters to accentuate the original characteristics of the breed. 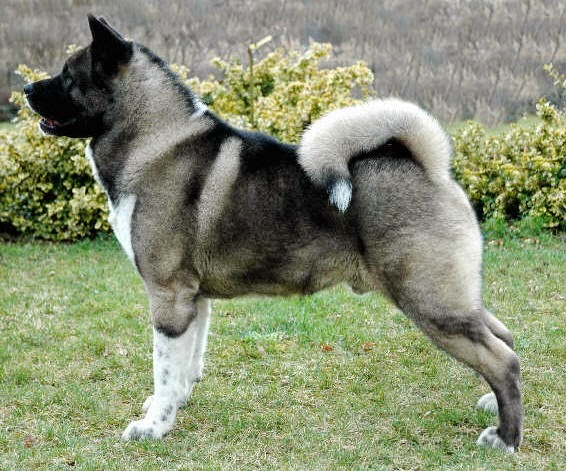 American Akita – American Akita began to diverge in type during the post-World War II.American Akita generally are heavier boned and larger with a more bear- like head. 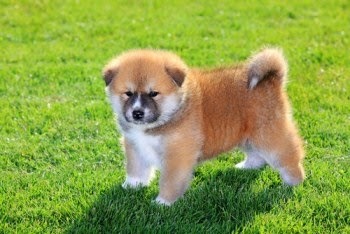 Whereas Japanese Akita tend to be lighter and more finely featured wia a fox- like head. Akita was first introduced to the UK in 1937. The breed was Introducted in Australia in 1982 with an American import and to New Zealand in 1986. The Akita breed have a large, bear like head with erect, triangular ears set at a slight angle following the arch of the neck, eyes are small, deeply set and triangular in shape. Akitas have thick double coats and tight well knuckled cat-like feet. The Akita Inu is handsome, calm, dignified, clean and quiet in nature. Akitas can be so aggressive with other dogs. Training to Akita can be a challenge because Akita Inu is assertive , strong-willed and bored easily, and he may use his intelligence in ways that suits his own purposes. Akita Inu doesn’t require hours of running exercise. He does well with long brisk walks and an occasional vigorous run, especially in cold weather. Akitas love snow and cold. Akitas are very family oriented and are not happy when kept apart from the family. The Akita heat cycle is a bit different than with other breeds. The Akita is an adult , the age of at least 3 years. 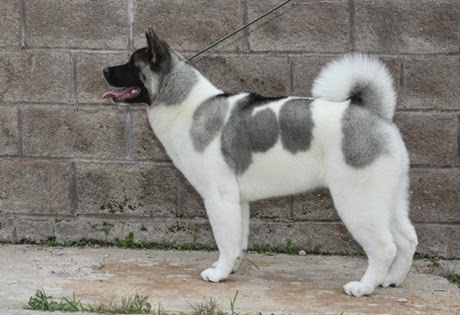 Breeding Akitas will differ than any other breed, mainly because of the environment and the space that will be needed. Mating should never be done in hot weather, mating should never be done after the male has just eaten, never muzzle the male. The liter size ranges from 3 yo 12 puppies with an average of 7 or 8 puppies. Life expectancy is 10 to 12 years . This is the same for both the Japanese and the American Akitas. 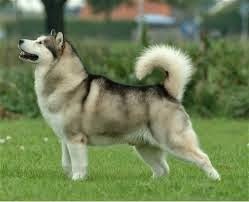 The Japanese Akita is white, red or brindle. The colours of the American Akita can be any of a wide variety. Most will be a 2 or 3 part combination of the following. Black, Black Brindle, Brown, Brown Brindle, Fawn, Pinto, Red, Red Brindle, Silver, Silver Brindle . The Akita size is not clear cut and simple. The height ranges from 24” to 28” tall at the shoulder. The weight of male is 90-140 pounds, and female 70 to 100 pounds. Akita ears is the issue of floppy versus erect ears. The an adult Akita ears should be erect. All Akitas both Japanese and American do have fully webbed feet. This allows them to swim on the surface of water quiet like an other is able to. The use both their from and rear feet as opposed to the typical “ doggie paddle” of only using front paws as most other canines will do. Purebreds will have brown eyes, with a deep dark brown being desired. They are small, deep-set and with a very distinct triangle shape. Every dog breed is prone due to genetics, to certain health problems.Akita breed unfortunately is very sensitive to medications. Some diseases like Microcytosis, Autoimmune hypothyroiditis, Bloat, Arthritis and Von Willebrand’s Diseases.